The State Committee on Property Issues of Azerbaijan will hold an auction on privatization of state properties on February 19, Trend reports referring to the committee. The report states that 101 state properties will be privatized. State properties differ among themselves by category, initial price and the economic spheres to which they belong. Some 64 of them are small state-owned enterprises and facilities, 17 are non-residential areas, 20 are joint-stock companies. Small state-owned enterprises put up for auction include shops, restaurants, subsidiary farms, and property complexes, among others. The total floor space of such ​​state properties varies between 20 square meters and 3813 square meters. 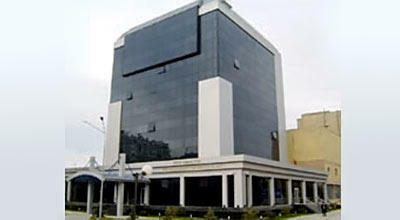 Joint-stock companies with state-owned shares includу “Azinterservis”, “Sabirabad Inshaat Senaye”, “Kurdemir Qushchuluq”. Investors will be able to privatize 30-45 percent of shares in joint stock companies located not only in Baku, but also in various regions of Azerbaijan.